New York hip hop legend R.A The Rugged Man returns to Adelaide this month as part of his ‘Shoot Me in the Head’ Australasian tour. Hitting up all major cities on this tour, R.A will wrap up his tour on Monday, 8th June at The Gov. Controversial, influential and proudly underground, R.A. pioneered the truly independent indie-rap hustle, pressing his own vinyl singles and racking up one of the most impressive resumes in rap history. Having collaborated with the likes of Wu-Tang, Mobb Deep, Biggie and Kool G. Rap, as well as productions from Erick Sermon, DJ Quik and The Alchemist, The Rugged Man has worked with the best of the best and is keen to bring his experience and enthusiasm down under. Although not his first time in Adelaide, R.A hasn’t spent a great deal of time here in his career and he’s hoping to get the chance to check it out, but that’s not why he’s here. “I don’t get to spend much time in the cities I go. I get to see the hotel room, the show at night, then 6 or 8 hours travelling to the next town to perform. I wouldn’t mind taking some time off and seeing the country some time,” he says. Known as a pioneer in hip hop in his native New York, R.A, The Rugged Man attributes his success to doing things his own way with no compromise. “The secret is just make your music your way and don’t try to make certain music to fit in certain times. I seen so many of my peers and also so many of my idols, that I grew up studying and looking up to, fall off by trying to make music that isn’t them. It feels forced and dated. Just let your music be you and if you do you the fans will embrace it,” he says. A fan of Aussie hip hop, R.A gives a shout out to a Brisbane rapper who has been known to rock the Adelaide Fringe on many occasions. “My boy Tom Thum is from Brisbane, he’s a hip hop beast beatboxer and he spits his own tunes too. But I actually named the song Tom Thum on my Legends Never Die album after him,” he says. Meanwhile, on tour, R.A is spotting other Aussie talent by inviting local artists to come up on stage and perform with him. “I try to get some local beatboxers to come up on stage, and some local b-boys and b-girls to buss out some steps; or if I hear someone who could rhyme, I like to hear them kick something. I like bringing up local talent if there’s talent in the building,” he says. Whether he’s collaborating or rocking it solo, R.A promises a show to blow your mind. “I’m one of the hardest to ever do it. I been destroying stages for 25 years. You will see an elite entertainer in his prime doing what he does best. This what you get at my shows,” he says. And in his 25 year career, The Rugged Man has had some pretty impressive experiences with a resume that reads like a hip hop hall of fame. “The highlight was seeing all my idols that I grew up on when I was 11 or 12 years old. They were like super heroes and Gods to me. The Rakims, Kool G Raps, Big Daddy Kanes and Public Enemys, and the list goes on. To have those fellas embrace me and give me so much respect for my contributions to the culture, that’s a high point,” he says. An accomplished creative writer and journalist as well as one of the scene’s most significant, hip hop artists, RA has many strings to his bow. “I’m working on my Biography with a writer from the L.A. Weekly and Complex Magazine named Chazz Kangas. I’m not sure when I’m going to get that thing done but we’ll see,” he says. After the Aussie leg of his ‘Shoot Me in the Head’ tour closes in Adelaide, R.A will continue touring, recording and doing what he does. “After Adelaide, I head to New Zealand. After NZ, I travel 30 hours to a festival in Europe and I have to be on that stage six hours after I land into town. But after the touring I have signed a 17 year old rap sensation named A-F-R-O (a.k.a. All Flows Reach Out) and we’re working on his album,” he says. 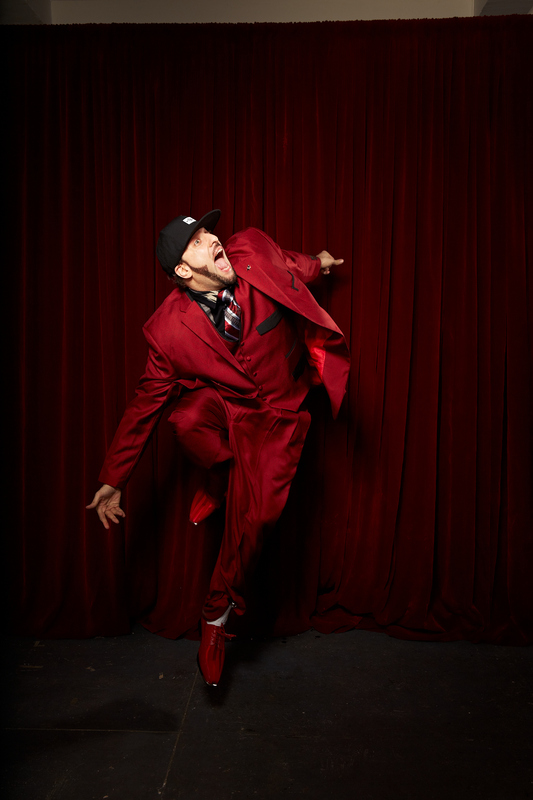 R.A The Rugged Man plays The Governor Hindmarsh Hotel on Monday, 8th June at 7:30pm. Posted in Music, What's on in Adelaide and tagged Hip Hop, Live music, RA Rugged Man, The Gov. Bookmark the permalink.